Baby Brain – Fact or Fantasy? I discussed this topic with Lord Dodo himself recently and I’m not sure that he was convinced that baby brain actually exists. Then of course perhaps that’s why he brought out his very own pregnancy journal so that we mums to be could subsequently reflect on all the things we wish we’d not forgotten at the time! Take it from someone with two children; it exists. When pregnant with my first child I became forgetful and sometimes somewhat disorientated. I would put things away in the most random places and do ridiculous things. I am also blaming baby brain for many of my maternity “fashion” choices, although in fairness I’m not sure they are connected. Professionals still debate whether baby brain exists; some agree that hormonal changes amongst other things cause the phenomenon, whilst others believe it to be a simple by-product of being more tired than usual. Being tired does not make me put my keys in a freezer bag and freeze them, nor did it make me forget that when you put a pie in the oven, you need to switch it on in order to make it bake. If these were isolated incidents and I hadn’t done them more than three times (in the space of a week), then I might agree. Really, baby brain does exist. My husband also suffered from an unusual amount of forgetfulness and did a number of things (such as de-icing the car with my hair spray) that were beyond the scope of normal everyday silliness. I can understand the sceptics who say that biological changes cause the disorientation, forgetfulness and downright vagueness; however this doesn’t explain the number of men who claim to suffer from the same problems during their partner’s pregnancy. A comprehensive study released in 2003 by Brett and Baxondale suggested that baby brain is potentially more of a neurological response to actually being pregnant than anything else, however it seems to me that the jury is still out. What do you think? Did you or your partner suffer from baby brain? If so, did you do anything delightfully silly? (Like wear your bra on top of your tee shirt, but thankfully mostly under your jacket? Obviously I didn’t do this *cough*). Do tell me! 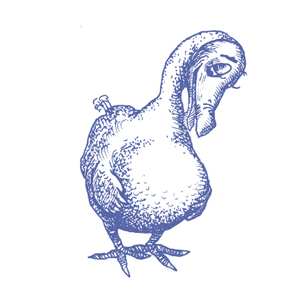 I would love to hear what Dodevoted readers think about this issue; perhaps you will help me sway Lord Dodo into recognising that the phenomenon is real, perhaps not!